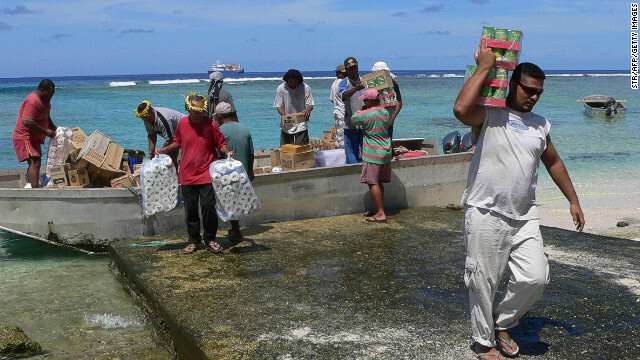 Residents unload goods from a barge in Nukunonu atoll, Tokelau, which has no airport or port. (CNN) - If you're among the companies vying for one of the nearly 2,000 new generic top-level domains, or gTLDs, you've got big pockets. The application alone costs about $185,000. But if you're just an average Joe building your own website or blog, there are much cheaper options out there. One of the most popular is .tk. It's a country code top-level domain, similar to .ca for Canada or .fr for France. But .tk stands for a country you've probably never heard of. It's called Tokelau.